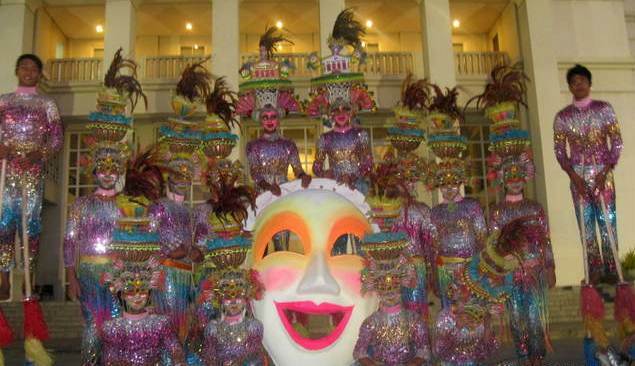 Bacolod Masskara, the dance group from Bacolod City, Negros Occidental was declared the grand champion of the fifth season of the ABS-CBN noontime variety program “It’s Showtime" on Saturday, April 28. Bacolod Masskara brings home a cash prize of P3 million after beating Amazing Paper Dolls, Tiklad, Infinite Reform, Lahing Anda, Dumaguete’s Pride and Next Level Octomix,. Bacolod Masskara is the sixth grand champion of “It’s Showtime,” following triumphs of XB Gensan (Season 1), Laoag City Gymnastics Group (Season 2), True Colors (Season 3), Astig Pinoy (Season 4), and CCP Bobcats (Campus Clash Edition).